In these dark cold days of winter, who doesn’t want to look ahead to warm summer days. Even though it will be a while until I can sit on the patio with a good book here in Pennsylvania, I was able to soak up some sunshine while working on a new logo. 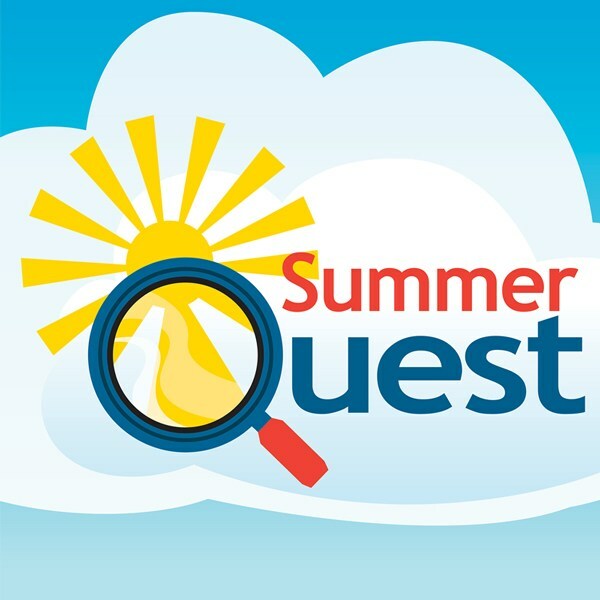 Pennsylvania Libraries wanted a fun logo to use for their summer reading program, Summer Quest. 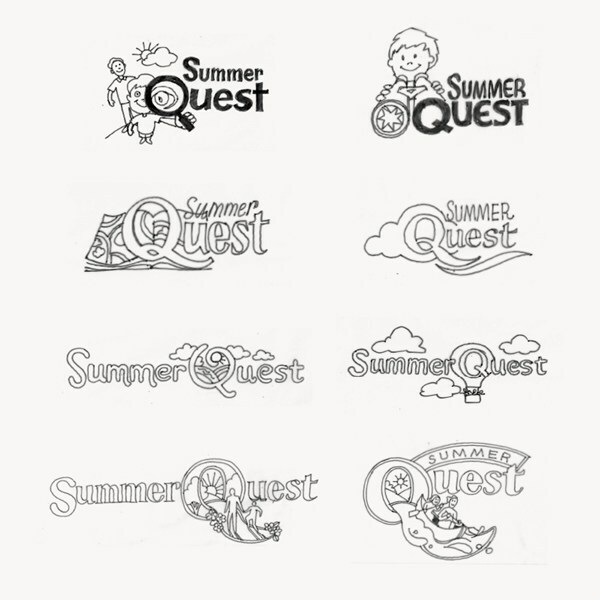 Fun, bright colors and legibility were key requests. And if we could include elements of a treasure hunt, even better. We presented several ideas for how to approach their request (see below). 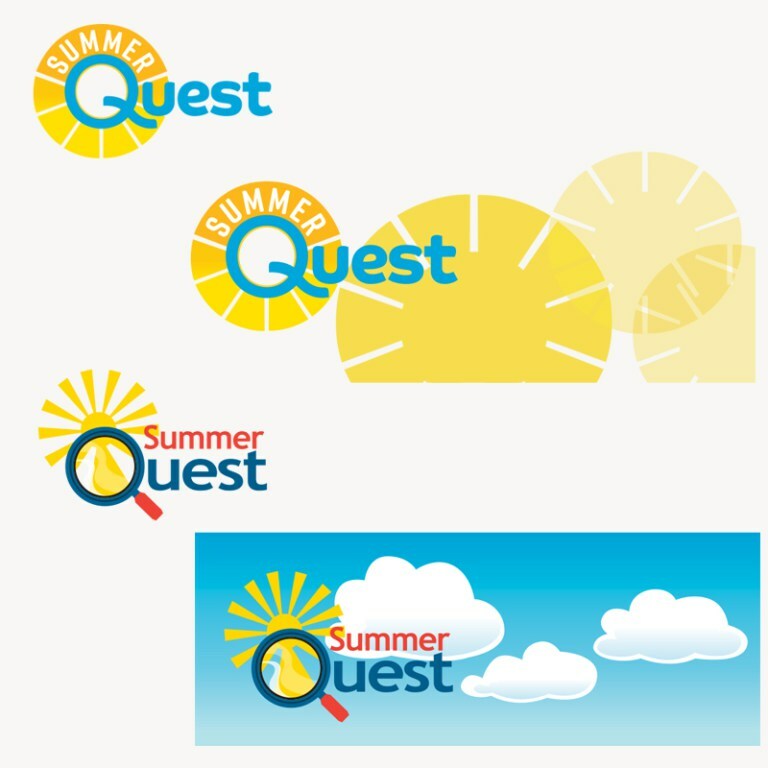 The client quickly decided on two directions – magnifying glass and the sun, but wanted to simplify the overall design. We removed any reference to people, and the magnifying glass was enough for the “treasure hunt” idea. We presented the two versions below, along with how the art could translate to headers for social media. The magnifying glass concept won out, and we proceeded to final art, which really wasn’t that much different from the tight concept above! 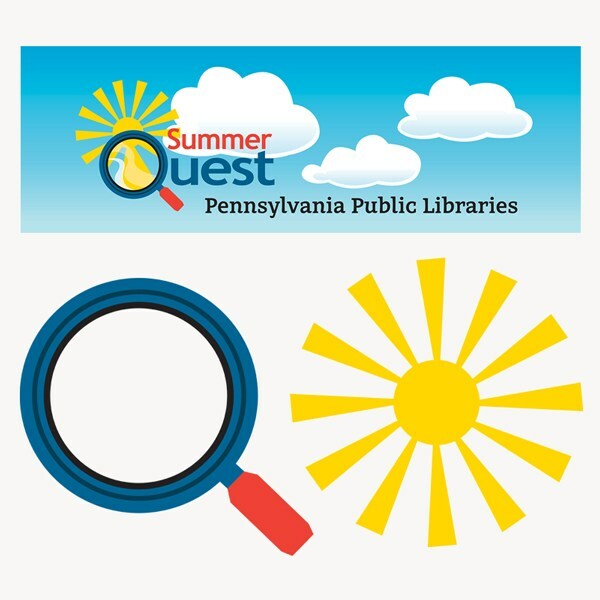 We also provided elements of the logo, such as the sun, magnifying glass, and text in separate jpg and png files for libraries across the state to download and use in materials. Saving out these elements gives librarians the flexibility to customize materials for their individual libraries, if they choose to do so. Maybe our little bit of creativity will warm your heart while we count down the days to summer, and some really good books!